Yet another day, yet another record for Uri: The Surgical Strike. In just 30 days, the film now finds a place amidst the Top-15 All-Time Highest grossers ever since the invention of the 100 Crore Club. The film has edged past the lifetime numbers of Golmaal Again [205.70 crores] and Happy New Year [205 crores] in just 30 days and is now set for greater records. On its fifth Saturday, the film brought in 5 crores* more and that has pushed the collections to an astonishing 207.52 crores*. With this, it is finding itself at Number 15 position of highest grossing films ever. Next in line is Prem Ratan Dhan Payo [210 crores] which would be crossed today and then it would need to take a long march in order to edge past Chennai Express [227 crores]. In fact, the manner in which it is running currently, it would be interesting to see if a lifetime of 232 crores would be challenged too. Entering the Top-10 would be tough though since for that Simmba lifetime of 240 crores would have to be crossed. Still, to come even close to that would be a huge achievement in itself. After Ajay Devgn, SS Rajamouli Approaches Akshay Kumar For A Pivotal Role In RRR? On the other hand, new release Amavas is going unnoticed. The film was delayed by a few weeks and audiences were not really aware of the film. On its second day, the film brought in just 90 lakhs* which has pushed the total so far to 1.65 crores*. This isn’t really promising much for the film and the trend indicates that there won’t be much of a jump on Sunday either. 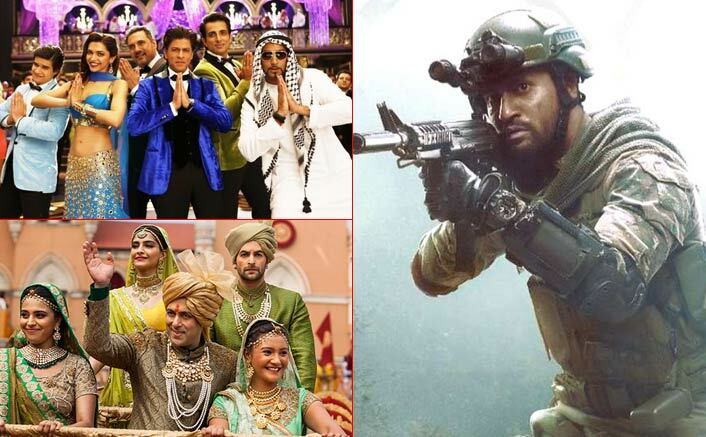 The post Box Office: Uri: The Surgical Strike Edges Past Shah Rukh Khan’s Happy New Year, Set To Surpass Salman Khan’s Prem Ratan Dhan Payo Today appeared first on Koimoi. Next Article Aamir Khan’s NEXT Film REVEALED! Osho Biopic Out, Mogul In?